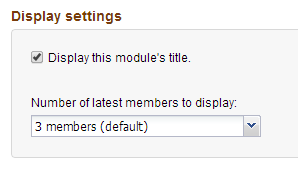 This module allows you to display the latest members who have joined your website, their profile images and join date. Check this if you want to display the module's name. Select from the drop-down box the amount of users you would want to display on your page.